Astral Perceptions Universal is a 'not for profit' organization. Our clients are never asked or pressured to compensate us for the services we provide. When the potential client first contacts us, the mechanism of our organization starts immediately. There is an initial consultation with the client through telephone and internet communication. This is followed by a course of primary research used to gather the main facts. The next step would be group discussion and assignment of duties, which include extended research and client dialogue. All pertinent factors are considered during the research and investigation phases. It is a necessary process and potentially time-consuming...but we require a complete and detailed inquiry in order to achieve reputable evidence. Ideomotor reflex techniques are eventually initiated, followed by definitive remote perception methods (Controlled Remote Viewing - CRV). An efficient operation, absent the conscious mind, allows us to distinguish physical traits and senses associated with the target. This is a controlled procedure during the early phases, but ultimately this converts into a psychic exercise. At that point, a 'clear vision' or a clairvoyant state takes over during the final matrix phase. During this stage various extra-sensory information may emerge including the subspace aspects of entities and/or ethereal‎ energies in the area of the target. This is a thumbnail description of how Astral Perceptions Universal conducts the evidence gathering element of an investigation. A wide variety of procedures are considered in order to resolve the situation because each and every case is different in some degree. We also provide continued support that includes guidance and instruction. This aftercare could be a long-term commitment in certain cases. These services are provided at no cost. We only ask that the client have an open mind, the discipline to follow our recommendations and to remain positive, which is imperative in order to resolve their problem. 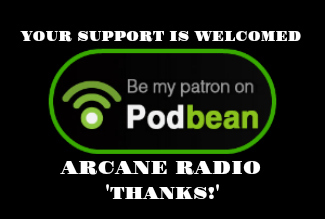 Author / Fortean Reseacher / Publisher of the syndicated Phantoms and Monsters blog - Spiritual intuitive at Astral Perceptions Universal - Radio talk show host at Arcane Radio. 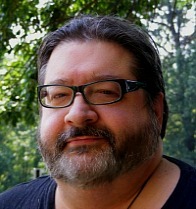 Since 1976, I have been a paranormal / spiritual researcher who writes and mentors on a variety of fortean subjects. I began the 'Phantoms and Monsters' blog in 2005, which has steadily grown in popularity and read daily by tens of thousands of paranormal enthusiasts, investigators and those seeking the truth! My research and reports have been featured on hundreds of online media sources. Several of these published reports have been presented on various television segments, including The History Channel's 'Ancient Aliens', Syfy's 'Paranormal Witness' and 'Faked or Faked: Paranormal Files', & Destination America's 'Monsters and Mysteries in America.' 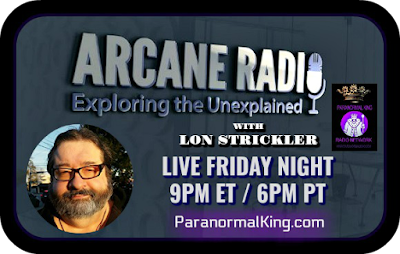 As well, I have been a guest on several radio broadcasts, including 'Coast to Coast AM' and featured on Destination America's 'Monsters and Mysteries in America' television show. My first book Phantoms & Monsters: Cryptid Encounters was published in September 2012. I later published Phantoms & Monsters: Strange Encounters in November 2013. My most recent book Phantoms & Monsters: Bizarre Encounters was published in December 2014. I am a spiritual intuitive...applying perception abilities in order to help people who experience entity infestations & phantom disturbances, as well as spirit & thought-form attachments. My goal is to provide a professional and confidential resolution, including continued personal support and guidance, at no cost to my clients. For over 30 years I have been an active dealer and professional appraiser of vintage and modern autographed entertainment and historical collectibles. I have contributed commentary to many media sources, including National Geographic, Haunted Magazine, The Wall Street Journal, E!, AuctionBytes.com, Worth Magazine, The New York Times, The New York Daily News, The London Magazine and Entertainment Tonight. I am married to the love of my life Vanessa. Our 32-year union includes our daughter Adrienne, son Matthew and granddaughter Kayli.